If you can’t come to study in-person with Kathleen, this Fall 2019 class is the next best thing! This Level 1 online certification course will give you a transformational and in-depth foundation in Kathleen’s unique and groundbreaking Let Animals Lead™ method of Animal Reiki. Whether you want to deepen your own spiritual journey with animals or to begin a professional journey towards Animal Reiki Teacher certification, this class is for you! This course is also a great way for Kathleen’s Level 3 students to brush up on the basics before teaching a Level 1 course in-person. Sale price ENDS April 15! After many requests and much heartfelt contemplation, Kathleen has thoughtfully created an 8-week online version of her popular and life-changing in-person Level 1 course. Kathleen’s vast experience, having taught over 60 in-person Level 1 Animal Reiki classes over the past 16 years in various shelters and sanctuaries around the U.S., makes her uniquely qualified to teach you, in an online and interactive format, the important foundations and ethics you need to make Animal Reiki a lifelong practice. You won’t find Kathleen’s Let Animals Lead ™ method anywhere else, unless you train in person with one of her teachers! A beautiful certificate to show your accomplishment and official certification. This certificate may serve as a prerequisite to Kathleen’s Level 2 in-person courses. Students will need to be able to participate live at scheduled times (attendance required at a minimum of 7 of 8 sessions to receive certification). You must be able to connect via video (preferably) or audio on the webinar platform Zoom. Students will need to be able to download and open pdf documents in order to read the weekly lessons and assignments. All assignments must be shared either verbally during class, or if that is not possible, written up and sent to Kathleen via email. Students must have animals to practice with daily. A variety of animals is preferable (ask neighbors and friends to support you! ), but 1 or 2 of your own, at the very minimum, is needed. Students must commit to 10-20 minutes/day minimum of daily meditation practice during the course (weekly assignments will be given). 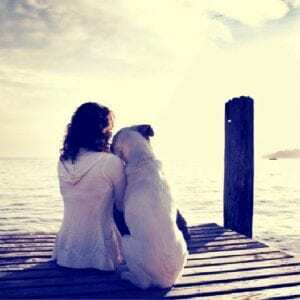 The main purpose of this requirement is to help you experience the power of Reiki practice in a personal way, thus giving you the foundation you need to build a lifelong Animal Reiki practice. With dedication and commitment, Animal Reiki can heal and transform your life, as well as the lives of the animals you love! I just wanted to share this while it is still so fresh. I have been dealing with some significant chronic pain in my neck/shoulder area. It has been getting increasingly worse over the last several weeks. Anyway, after the meditation/Reiju during class today, I sat up and noticed that the pain had all but left that region! I was so surprised by this feeling (or lack thereof) that I had to move my head from side to side to make sure this was real! I also noticed that after doing the hara breathing this ball of uneasiness in my gut was no longer weighing me down either! Just an overwhelming sense of calm and peacefulness. The pain isn’t completely gone but on a scale of 1-10 it was a 15! Now it’s 2-3! I am truly blessed to be able to attend your class and so grateful that you even offer it! This class was wonderful. Kathleen guided us through the teachings, helping us to unfold, in a loving and gentle way. Her healing presence was strongly felt in this online format as was the loving and earnest energy of the other students. I feel much stronger in my practice. Thank you, Kathleen, for making this possible. This class solidified my desire to practice reiki with animals. And, more importantly, it showed me how important Reiki is to me personally. This is a well constructed class, allowing plenty of time to practice and experience during the week and share during the online session. Kathleen’s presence shines through in the online class so there is no difference to being online with her instead of sitting in a barn next to her. Kathleen delivers the material in an inspiring and, yet practical, way. Bonding with the other classmates over the 8 weeks was and unexpected bonus! This class has changed the way I observe and interact in my daily life. Such a pleasure and joy to be in her class. Kathleen’s expertise, knowledge, and beauty of being shines through the virtual pathways ! 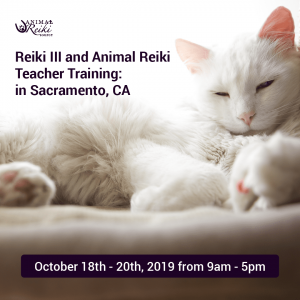 Her class is an exceptional experience with comprehensive teachings and delightful and inspiring interactions with classmates – The course provides an abundance and wealth of information and tools to begin the journey of offering Reiki to all species. Life changing and life affirming, I cannot recommend it highly enough ! Prior to taking this course, I did not feel equipped to be able to enter a shelter in a way that I felt would serve the animals. I did not quite understand even what animal reiki meant though I did have practical experience with hands-on/distance reiki with humans which I learned was very different from animal reiki. At the end of this course, I felt like I was very well prepared to ‘be’ reiki in a shelter and be able to be of service to those there and in fact, I was able to conduct my first reiki session shortly after the course ended. Kathleen’s guidance was incredible and her knowledge and experience as well as those of others in the course truly was invaluable. As other students have indicated, there is ample time between each class to practice the exercises, learn more through the articles/videos/etc. provided, and meditations. What really excited me was the sharing of experiences that we had with the other students with Kathleen provided necessary guidance and support whenever we had any questions. 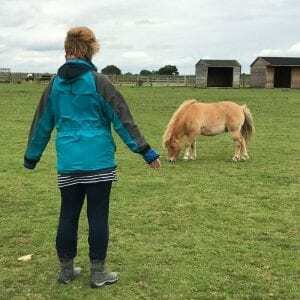 I strongly recommend this course for those who have a real interest in doing animal reiki and sharing this healing practice with others but wanting a supportive environment to talk really about anything that came up. It was wonderful the interaction via Zoom too as we all feel like we got to know one another through this interface. So excited to continue this path in the years to come! I am so grateful that Kathleen offered this class online because it’s the only way I was able to take it. I love that even though it is over, I can go back and listen to the recordings again and again. That for me is such a bonus because I get to re-experience the energy and animation of her teaching as well as the meditations. The classes are full of information, wisdom, sharing and support and Kathleen had so much practical advice for us as we shared our experiences and questions. I’m looking forward to taking the Level II class at some point. I took this class as a refresher and it was amazing! Perfect for those new to Reiki and for practitioners/teachers who want a “back to the basics” refresher. The format promotes immersion in and contemplation of each concept and/or technique, which helped deepen my practice by bringing me back to the basics. Kathleen’s wisdom and teaching, as always, was life changing, energizing and inspirational. Learning from and becoming friends with other Reiki practitioners around the world is an added perk! I highly recommend this class to anyone new to Animal Reiki and seasoned practitioners looking for a refresher. continuing my journey with you.